tofu | shirley does Feminism. I have been a vegetarian for 14 years. When I was 12 I decided to stop eating meat for a number of reasons. I have never really cared for the taste and I have been traumatized by animal veins in my food one too many times. When I decided to stop eating meat I received a lot of slack for it from my family. During middle school and high school my diet preference was never really considered when our family chose restaurants or made meals. A result of this lack of consideration was me consuming a ton of broccoli, popcorn, and dinner rolls. You can only imagine the results…over weight and not balanced. During college I started to explore vegetarian options, but even then I was scared of foods because I was never taught to try food or explore different cultures. I decided to take control of my health and make healthier choices while in grad school. My tastes have progressed, my culinary skills have improved, and I have lost a ton of weight (a by product of living well). 10th grade: Did I mention I wore “Meat is murder” shirts in middle school? ha! I bring up my journey towards healthy delicious vegetarian food because I realize that I was raised within a house that did not understand that vegetarian food could be well-rounded and yummy. I do not think this belief is restricted to my childhood household, I encounter this mindset all of the time. If people dare to think about vegetarian food they often jump to tofu. I will be the first to admit that tofu can be bland. 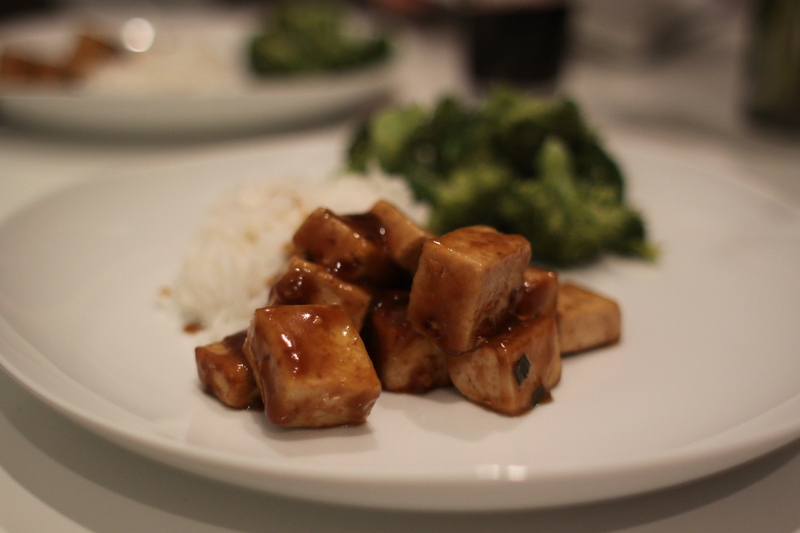 However, if prepared properly tofu can be wonderful. It assumes the flavor of whatever spices it is prepared in. I found this recipe on Pinterest and hot dang… it was divine! Husband approves! I can not recommend this dish enough. It would be a great date night meal or dinner party dish. The recipe takes approximately 35 minutes from start to finish. Add the remaining 1 tablespoon oil to the pan. Add the tofu steaks (2 at a time) and cook until browned on one side, about 3 minutes. Spoon the mushroom mixture over the tofu, pour marinara over the mushrooms and scatter mozzarella on top. Cover and cook until the sauce is hot and the cheese is melted, about 3 minutes. Sprinkle with basil and serve. General Tso knows how we do. Tonight Stephen and I tag teamed General Tso tofu. He made this recipe a few weeks ago, however in his first go around 2 tsp of cayenne pepper were involved. Lets just say, Stephen and Mike were sweating while they ate and I gave up. This time we went without the cayenne pepper and it was sooooo much better, not to mention tolerable! I highly recommend this dish. It is sweet, filling, and healthy! Before making the dish you need to prep the tofu. 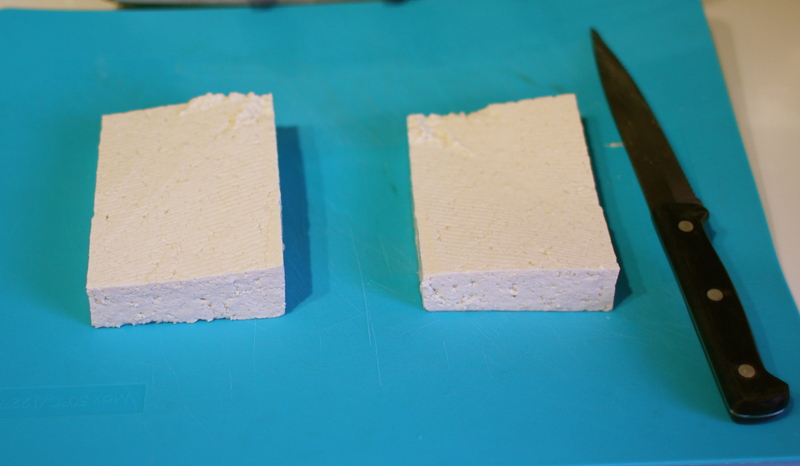 Cut the tofu down the middle, making it a bit thinner and easier to drain. 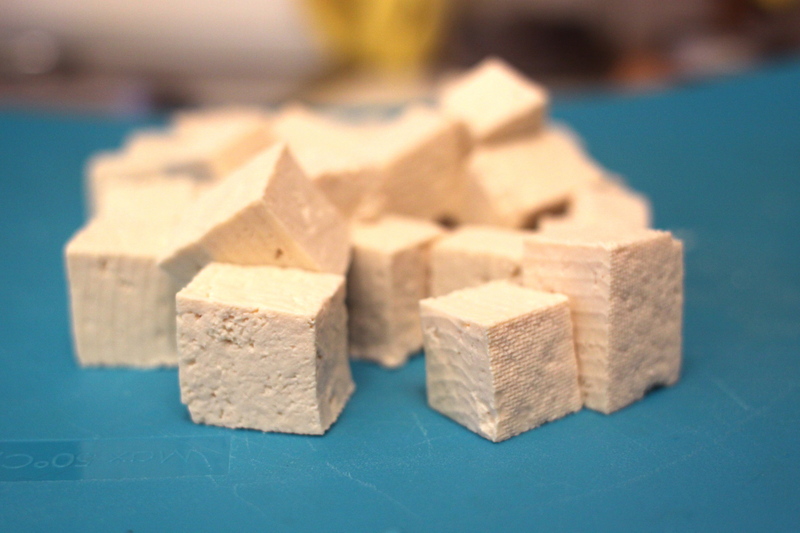 Once you have cut the tofu, place the tofu between two pieces of paper towels. 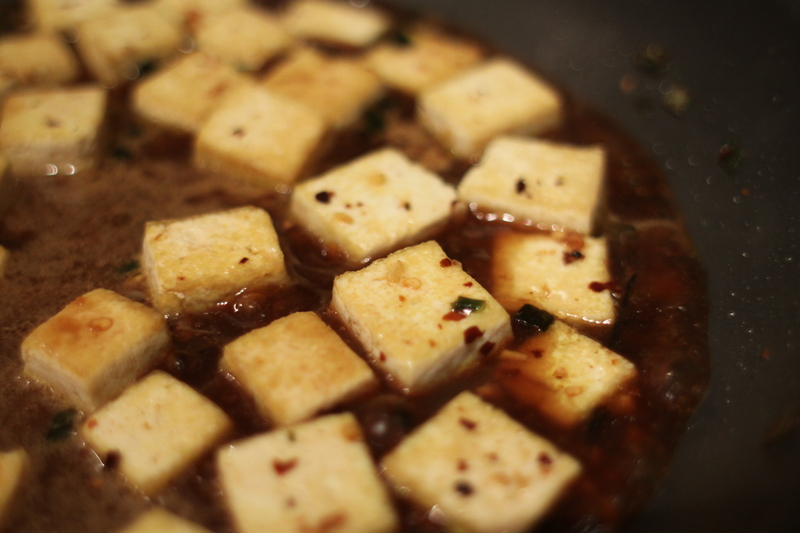 Pile on heavy dishes to squeeze the water out of the tofu. 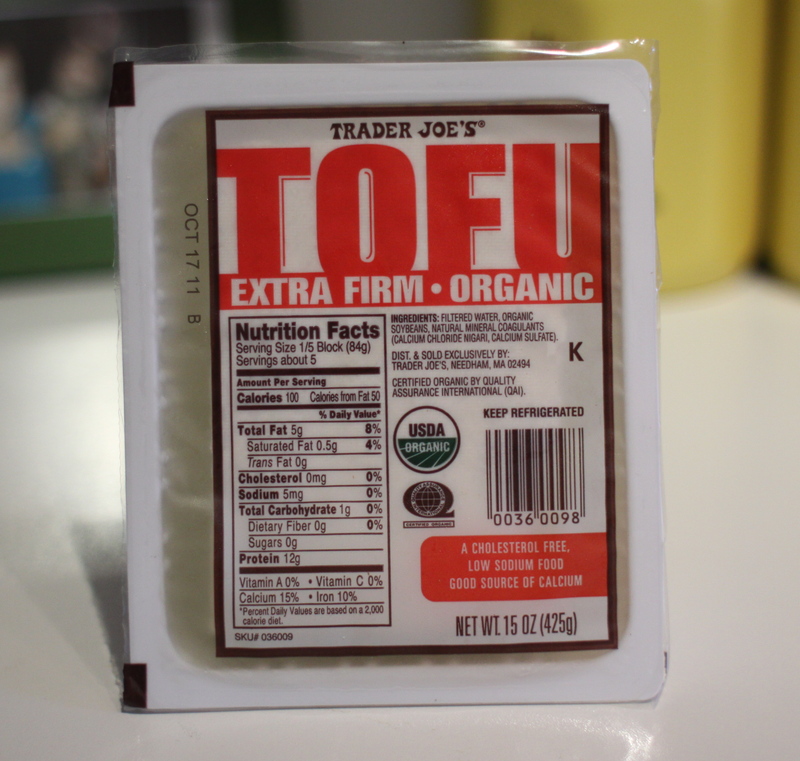 Let the tofu sit in this position for at least 10 minutes. 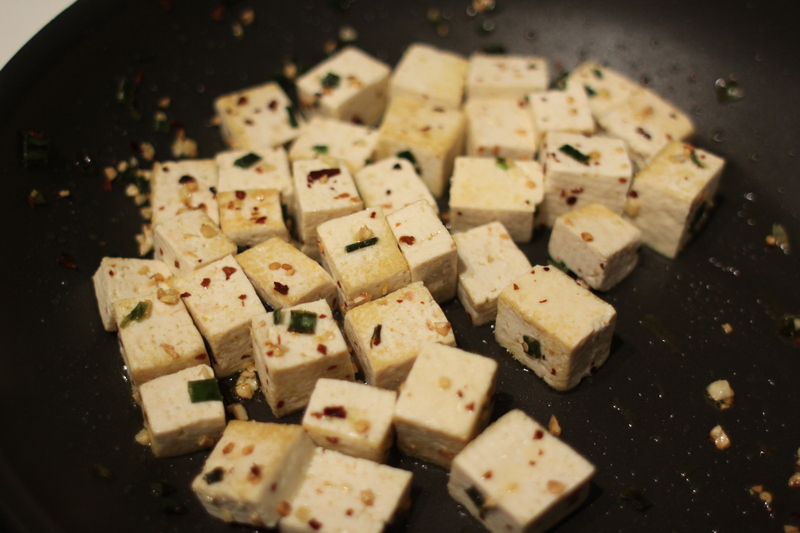 After the tofu is pressed, cut into cubes and set aside for later. Heat oil in a wok or large skillet over medium-high heat. 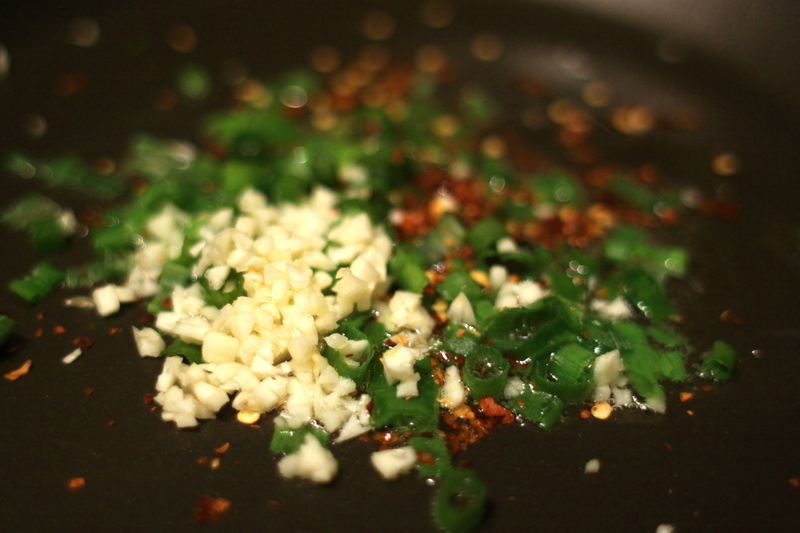 Add scallions, garlic and red pepper flakes; cook, stirring frequently, 2 minutes. 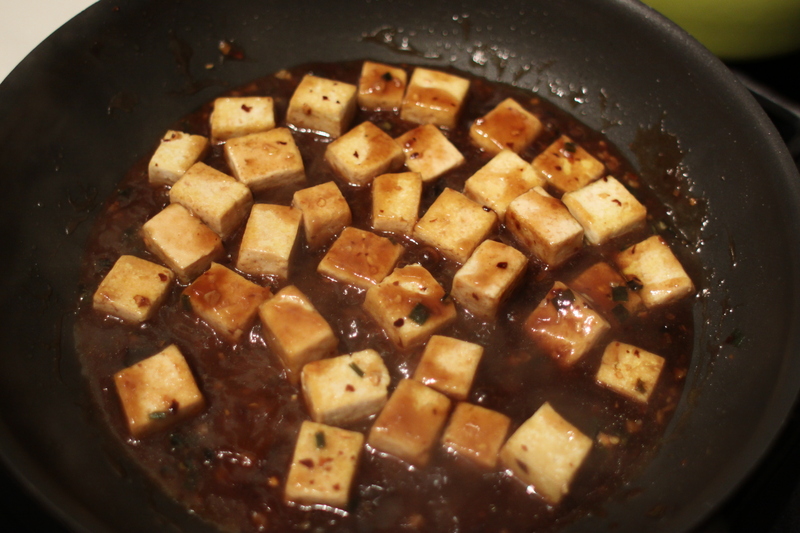 Add tofu; sauté until browned all over, about 5 minutes. 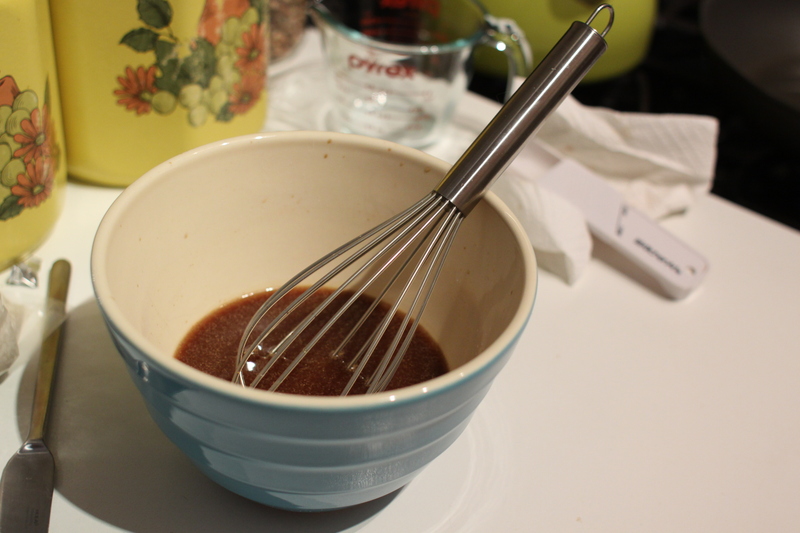 Add reserved sauce to pan and simmer until sauce thickens, about 3 minutes. 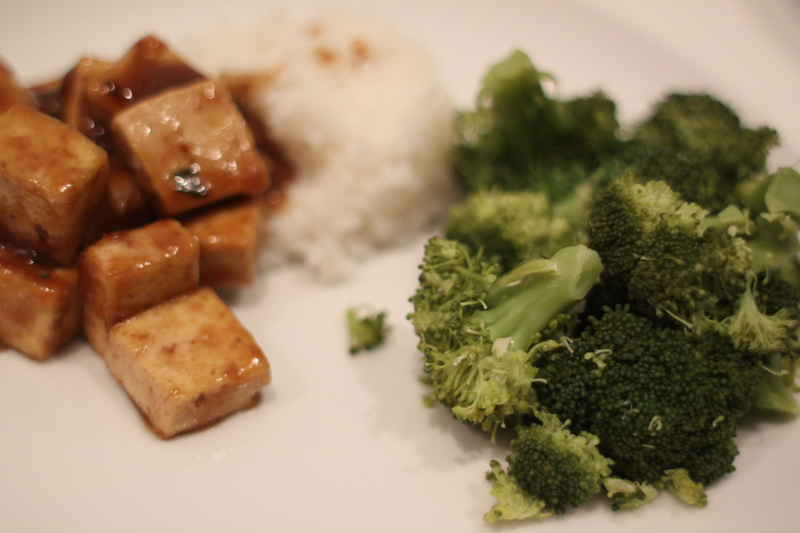 Serve tofu and sauce over rice. Yields about 1 cup chicken with sauce and 1/2 cup rice per serving.